GOVERNOR IKPEAZU SACKED, ABIA GOVERNMENT OFFICIAL STATEMENT. The Governor of Abia State, Dr Okezie Ikpeazu has called on Abians not to panic, but remain calm over the judgment of Justice Okon Abang of the Federal High Court Abuja delivered today in favor of Mr. Uche Oga against him, in the case of alleged falsification of tax receipts. 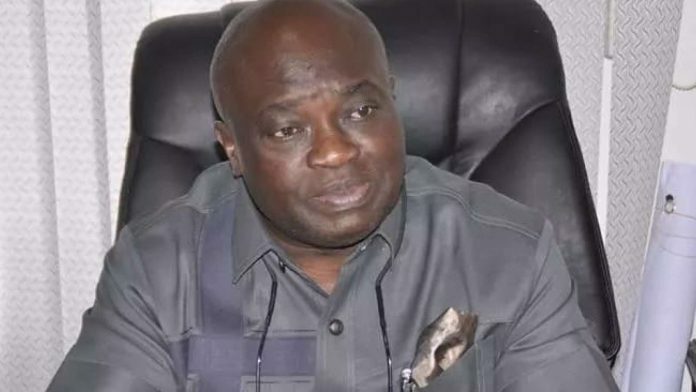 Governor Ikpeazu, who said that he has faith in the judiciary and rule of law, added that he will appeal the ruling as he has instructed his lawyers to file an appeal immediately against the said judgment. The Governor noted as an appointee of the Abia State Government from 2011 to 2014, when he served as the General Manager, Abia State Passengers Integrated Manifest and Safety Scheme (ASPIMSS), and first Deputy General Manager, Abia State Environmental Protection Agency (ASEPA) Aba and Environs respectively. Before his resignation in October 2014 to contest the Governorship election in the state, that within the period his taxes were deducted at source, and when he had need of his tax clearance in 2014, he applied to the Abia State Board of Internal Revenue, and was duly issued with his tax receipts for the period in question. He maintained that he remains the Governor of the state according to law and will await the final determination of the matter by the appellate courts.